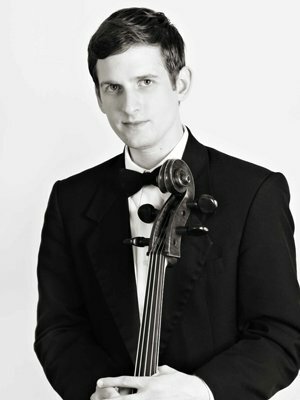 Douglas Harvey joined the cello section of the Austin Symphony at age 17, and in 2002 he became the youngest principal cellist in the history of the orchestra. In 2005 he would become the principle at Austin Opera Orchestra. Harvey has been featured as soloist with the Austin Symphony in Dan Welcher’s Oratorio: JFK: The Voice of Peace, Strauss’ Don Quixote, and the Concertino for Cello and Strings by Irving Schlein. In 2012 he was invited by Maestro Peter Bay to be principal cellist in Bay’s final season with the Peter Britt Festival in Jacksonville, OR, and to perform as soloist in Haydn’s Sinfonia Concertante. Harvey has performed twice at Carnegie Hall: first performing solo works with piano by Kathryn Mishell, Dan Welcher, Kevin Puts, Lowell Liebermann and others; and second as cellist of the Artisan Quartet. He has performed many different works with orchestra, including the major concertos and solo works by Haydn, Dvorak, Schumann, Elgar, Tchaikovsky, Saint-Saëns, Lalo, Brahms, and Strauss. As an active chamber musician in Austin, Harvey has worked with the Austin Chamber Music Center, the Chamber Soloists of Austin, the Salon Concert Series and others. As the cellist of the Artisan Quartet, and as an orchestral musician and chamber player, he has been a frequent guest of the Victoria Bach Festival, under the direction of Craig Hella Johnson, where he was chosen in 1998 as one of the first New Young Artists.